We’ve spent a heck of a long time waiting, but Cheryl Cole’s album has finally seen a retail release in Australia, though so far it’s only at JB Hifi stores. 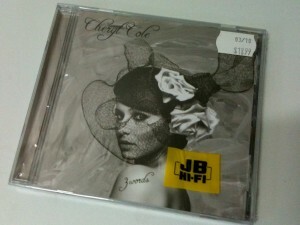 Here’s a copy we snapped up today, though the album’s official retail release is still set down for April 09. The Aussie tracklist is the same as the UK version. Do not buy it. One of the worst pop albums of the year I think. I like the song 3 Words but the rest hurts my ears. Petro…. its a retailer exclusive. universal would have offered the release to JB early to ensure they actually took stock and promoted the album rather than just pop it on their shelves and be done with it….as they do with most releases. Hmmm I think I might wait for the April 9 release, as there could be a chance they might add a bonus track or something like they did when Adam Lambert’s album was officially released. thank-you. I’d become a member with a name an all ut I can’t figure out this Google account crap, so I’ll sign off from now on. I almost got my copy last night but then decided against it to get Sweet 7 this morning, BIG MISTAKE. Will Mr. Anonymous get a thankyou for the heads up last night? Thanks Auspop for always being the first to break these news to a local audience.